There is no better location than 2 Condado Street; exclusive, safe and convenient! 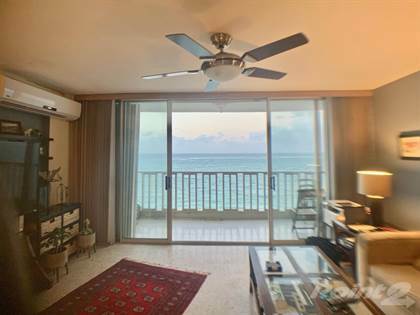 Stella Maris is a boutique condominium with direct access to beautiful Condado Beach. Its position between La Concha and Mariot Hotel, allows its residents to enjoy all the hotel beach benefits of this enchanting cove. Experience this 9th floor waterfront gem for yourself and marvel at sweeping ocean views from room to room or watch the sunset from the apartment's spacious private balcony. Fully equipped kitchen, three bedrooms, two full bathrooms, one deed parking space. The building is undergoing many improvements and will soon count on a full power generator. Walk effortlessly throughout the best area of Condado and enjoy the variety of delicious restaurants available. SHORT TERM RENTALS ALLOWED! Property Taxes: $1,240/yr; fully exempt if purchased as primary residence. Hazard insurance is included in monthly HOA of $363. Hi, I'd like to find out more information about Condado Ave. #2. Thanks so much!